Clear Spider is hosted on the cloud. We maintain, upgrade, and support it, so you don’t have to. Clear Spider is a cloud-based solution. 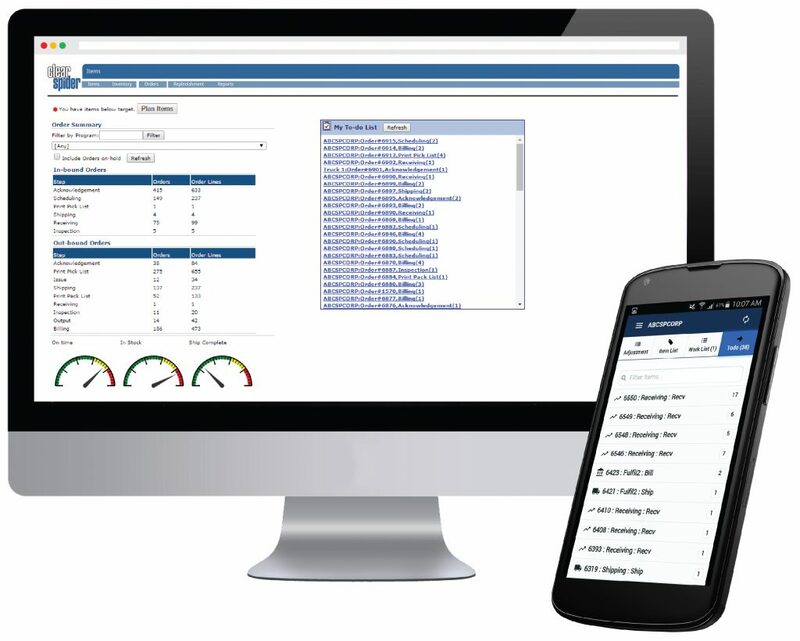 Everything you need for effective inventory management, is available on the cloud, through any internet enabled device. We perform all maintenance, and upgrades, from a remote location, with no system downtime. Our technicians are constantly monitoring your system to ensure tight security, high performance, and continuous improvement. Clear Spider uses 256-bit SSL encryption – the same standards used for internet banking – so you know your data is safe. We also conduct daily backups and performance checks to make sure the system is running the way it should be. You define who has access to your information and what each user or user group can view or edit. We value your privacy as much as you do, so we won’t use your data without your consent. Clear Spider runs across a number of application servers in our data center, with an up-time of 99.99%. Our response time averages under 3 seconds, per transaction, inside our server, and our clients report a real-world response time of less than 4 seconds. One scan generates product and quantity acknowledgement. As items are scanned, orders will be processed accordingly and inventory levels will automatically be updated in the system. Excel and XML on demand. Clear Spider can be used over any internet connection with WIFI or LAN. You can also use a broadband (cable/DSL) connection or wireless cellphone data. Clear Spider allows you to upload data from a Microsoft Excel template, directly to the server. Our Integration Agent (IIA), has published data formats to import your data to Clear Spider. We support a number of integrations, including Salesforce.com, SAP, Microsoft Navision, and QuickBooks. Clear Spider offers telephone support from 8:30 AM EST to 6:30 PM EST. Outside of those hours, email support is available. In addition, consultants are accessible to help you with more complex problems such as integration to existing applications and data.